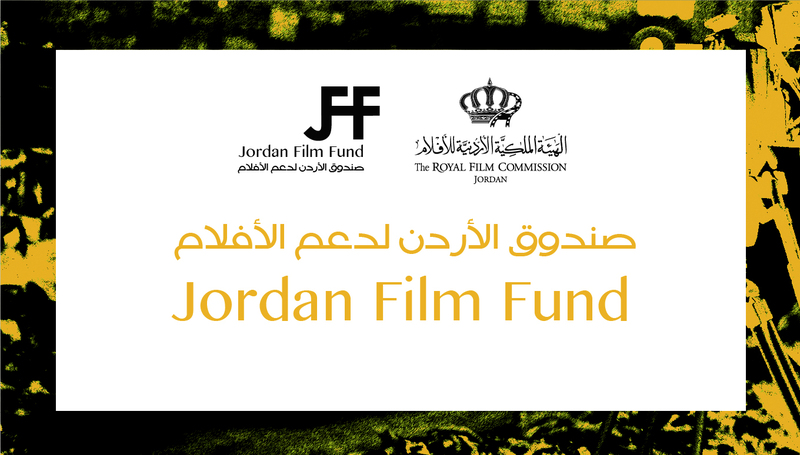 Call for submissions: The Jordanian Short Movie Competition as part of the 21st Franco – Arab Film Festival. Under the direct supervision of the Community and Training Manager, the Project Manager is responsible for monitoring and evaluating the accomplishment of the objectives and goals of the projects/programmes of the department. Develop and strengthen monitoring, inspection and evaluation procedures. Monitor all projects’ activities, expenditures and progress towards achieving the project output. Recommend further improvement of the logical framework. Develop monitoring and impact indicator for the project success. Monitor and evaluate overall progress on achievement of results. Monitor the sustainability of the projects’ results. Provide feedback to the Project Manager on projects’ strategies and activities. Suggest strategies to the Project Manager for improving the efficiency and effectiveness of the projects; by identifying bottlenecks in completing projects’ activities and developing plans to minimize or eliminate such bottlenecks. Report monthly, quarterly, half-yearly and annually on the progress of all projects’ activities to the National Project Director/Project Manager. Conduct capacity assessment on existing monitoring and evaluation system. Develop indicators and a monitoring strategy for the project. Provide inputs, information and statistics for quarterly, annually and other reports to the project management team. Participate in annual projects’ reviews, planning workshops and assist the Project Manager in preparing other relevant reports. Assist Project Manager in the preparation of reports on the findings and lessons learned from projects’ innovations. Prepare Issues Log and Risk Log for the projects. Bachelor degree in Management or related field. At least four years-experience in monitoring and evaluation of community-related projects. Very good communication skills, oral and written, in both English and Arabic. Excellent ability to deliver and draft reports. 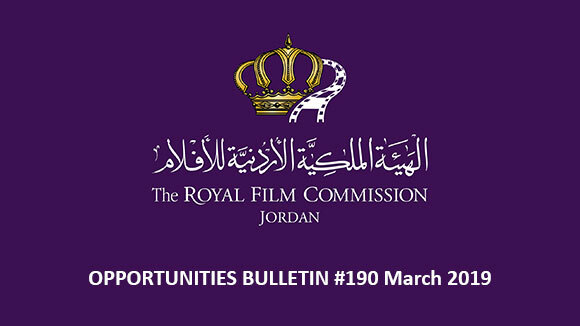 Please send your application to the following email: recruitment@film.jo no later than 30 April 2015, and indicate clearly in the subject of your email the title of the position you are applying for. 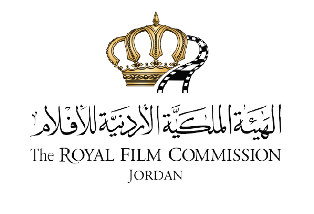 The Royal Film Commission Jordan, in consultation with the Sundance Institute, welcomes applications to the eleventh round of Rawi Screenwriters’ Lab. The Lab will take place between November 9th and November 13th, 2015 in Jordan whereby four to eight screenwriters will be selected to participate in this year’s round. Rawi Screenwriters’ Lab is designed for Arab independent screenwriters working on their first or second feature narrative screenplay. It offers them the opportunity to develop their screenplays under the guidance of veteran screenwriters. The latter, known as Creative Advisors, will have one-on-one intensive story sessions and conversations with the participants about their projects to embrace their vision and to help them find the most compelling way to tell their stories. The deadline for applications is on June 15th, 2015. 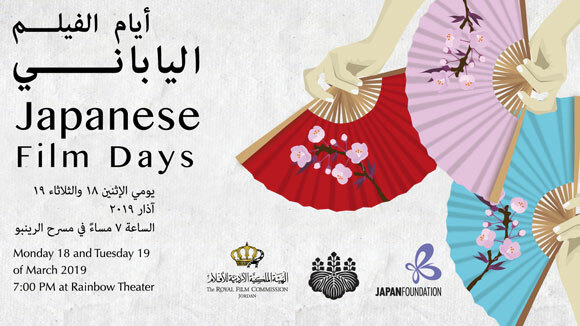 The Institut Français in Jordan, in partnership with the Royal Film Commission Jordan (RFC), is organizing the 21st edition of the Franco-Arab Film Festival which will be held in Amman from June 6th until 11th 2015. The Franco Arab Film Festival is calling for Jordanian short films (documentary and narrative) to compete. Prizes will be announced during the closing reception on June 11th 2015. The film has to have been produced in 2014 or 2015. It is requested that the film be subtitled in English or French, if it is in Arabic; or subtitled in Arabic, if it is in English or French. 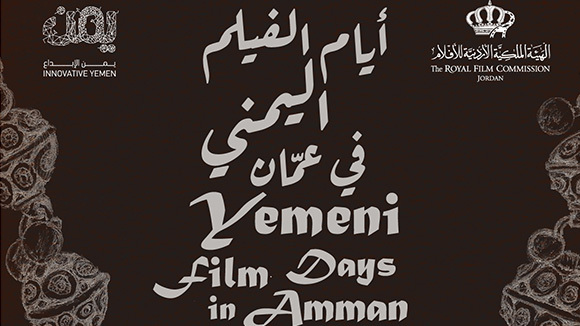 An application form in Arabic or in English which can be found on the RFC website www.film.jo covering technical details regarding the film, synopsis and the filmmaker’s information. There will be four valuable prizes: a jury prize and a public prize, for both narrative and documentary categories. The 4 winning films will receive a trophy created by Jordanian sculptor Hazem Al Zubi. The 2 Jury prizes for the best narrative and best documentary will be invited by the French edition of the Franco Arab Film Festival in Noisy-Le-Sec (in the close suburbs of Paris) to present their films. The full stay in France will be covered (return flight ticket; accommodation and local transportation). In addition, the RFC will offer a one-year subscription at the Film House’s Library to the four winners. The deadline for submissions is May 14th 2015. Film submissions for the 12th edition of the Dubai International Film Festival (DIFF), running from December 9-16, 2015, is now open. Since its inception in 2004, DIFF has served as an influential platform for Arab filmmakers and talents at an international level, by spearheading the cinema movement in the region. DIFF’s heavily contested competition for feature fiction and non-fiction; and short films originating from the Gulf Region and the Arab world will compete for the prestigious Muhr Awards. In order to be eligible for the Festival, your film must have been completed after September 1, 2014 (i.e., films must have been completed by September 2014 or thereafter in order to be considered for the December 2015 Festival). DIFF requires that all short and feature films are, at minimum GCC premieres. Exceptions maybe applied on a case-by-case basis for film in DIFF’s out-of-competition sections. Films must not have been entirely or partially broadcasted and/or made available on television, the internet, mobile phones and/or any other public viewing platform until the 12th edition of DIFF closes on 16th December, 2015. Films that have been submitted to earlier editions of DIFF will not be considered unless substantial changes have been made since the initial submission. Films must be directed by a filmmaker of Arab nationality or origin. The subject and storyline of the films should be centered on the Arab world, Arab history and/or Arab culture. Features: Films must be a work of fiction that equal or exceed 60 minutes in duration or non-fiction duration equal or exceed 52 minutes in duration. Shorts: Films can be a work of fiction that does not exceed 59 minutes in duration, or non-fiction that does not exceed 51 minutes in duration. Films must be directed by a Gulf filmmaker. Films can be a work of fiction that does not exceed 59 minutes in duration, or non-fiction that does not exceed 51 minutes in duration. There are no specific guidelines on the subject and storyline of the films. The deadline for submissions is on August 31st 2015. The United Nations Alliance of Civilizations (UNAOC) and the International Organization for Migration (IOM) invite you to submit original and creative videos focusing on PLURAL+ themes: Migration, Diversity and Social inclusion. Recognizing youth as powerful agents of social change in a world often characterized by intolerance, and cultural and religious divisions, PLURAL+ invites youth to address key challenges and opportunities related to social inclusion and cohesion, migrant integration, respect for identity, diversity, and human rights, both at local and global levels. Young people aged 9-25 are invited to submit short videos of five minutes maximum in length for consideration in the PLURAL+ Youth Video Festival. Entrants to PLURAL+ must be between the ages of 9-25.
reflect the youth’s opinions or reflections about migration, diversity and social inclusion. Multiple youth may work together to make one video, as long as all members of the group are between the ages of 9-25. If multiple youth work together on one video then the video will be judged in the age category of the eldest youth. Immediate family members (siblings, children and grandchildren) of jurors for the PLURAL+ Video Festival are not eligible to enter the Video Festival. The deadline for submissions is on June 15th 2015. The “Mostra” has been willing to fill-in a void in the Catalan cultural scene, because cinema can help for a better knowledge and understanding of the world. This is why the “Mostra” wants to contribute for the circulation and promotion of Arab and Mediterranean films in Catalonia, while introducing a different perspective on many issues and concerns and on the present world, coming from within Arab and Mediterranean societies. In short, the festival also wishes to contribute, through culture and arts, to bring down readymade perceptions and stereotypes about the Arab World, that are still rooted in the society, and to build bridges between Mediterranean countries. This year’s edition of the “Mostra” will take place from November 3 - 8 2015, for the fourth year in a row, in Barcelona. Morocco is this year’s invited country of Honor and therefore the program will cover a wide range of films from this country. Movies or documentary movies from 50 minutes, directed by directors from Arab countries within the last 5 years (unlimited for films from invited country). The copy must be subtitled in French, English or Spanish. The festival “Olhares do Mediterrâneo- Cinema no Feminino” launched a call for submission of films directed or co-directed by women from the Mediterranean basin. This second edition of “Olhares do Mediterrâneo- Cinema no Feminino” will celebrate Mediterranean films and culture during three days from June 5 - 7, 2015, and will take place within the cultural program of the Lisbon festivities “Festas de Lisboa”. The Festival accepts submission of films, of any genre and length (except institutional, corporate or advertising films). Directed or co-directed by women. Produced by, at least, one of the Mediterranean countries (Albania, Algeria, Bosnia, Cyprus, Croatia, Egypt, Slovenia, Spain, France, Greece, Israel, Italy, Lebanon, Libya, Malta, Morocco, Montenegro, Palestine, Syria, Tunisia, and Turkey) or Portugal. Not previously released in Portugal by commercial distribution (sales or rent), theatrical exhibition or broadcasting on television. The deadline for submissions is on April 15th 2015. The 5th Green Caravan Film Festival (GCFF) is a festival dedicated to showing films from around the world that tell stories of environmental and/or social relevance. 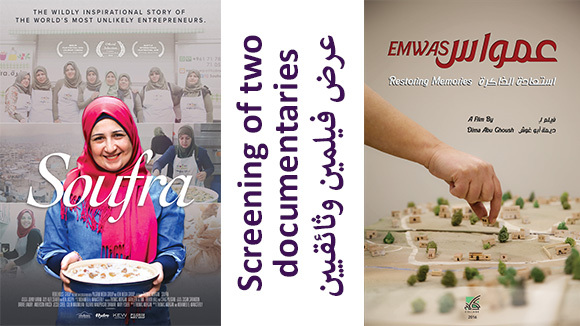 Short films from the MENA (Middle East and North Africa) region. Feature length films from anywhere in the world. Production Country: submissions are invited from countries of the MENA (Middle East and North Africa) region to celebrate the origins of the Festival as we show the films in London. The festival committee will consider the eligibility of the film based on the following criteria: director’s nationality, shooting location, language of the film, nationality of casts. Running Time: 25minutes or under. Running time includes end credits. Production Year: the film must have been produced after January 1st, 2013. Language: English subtitles are required for submissions with languages other than English. Running Time: 50 minutes or over. Running time includes end credits. Production Year: the film must have been produced after January 1st 2013. The 5th Urban International Film Festival will be held from May 28th to June 2nd, 2015 in Tehran. Urban International Film Festival showcases the films underlining the interactions made between the citizens and their cities in the course of splendid, humane lives. Its aim is to reveal and focus attention on works of quality in order to contribute to the urban life cleansing and the appreciation of resistance for survival in the cities in the hard times. International Films that have been completed after January 1st, 2011. Iranian Films that have been completed after January 1st, 2014. The feature films should be over 70 minutes and the short films should be less than 15 minutes. All films must be presented in their original language, with English subtitles, in Blu-ray format. Film Do you have an idea for a documentary about climate change? The International Broadcasting Trust is offering £4,000 in development funding for a project that can reframe the debate about climate change. Climate change is one of the most important issues of our time and yet it is one that broadcasters and filmmakers have struggled with. Sheffield Doc/Fest and IBT are inviting filmmakers to come up with their own suggestions for how climate change could be reframed to appeal to a mainstream audience. The key is to find a fresh approach to this very familiar subject. You should be aiming to make a TV hour / feature length documentary programme for broadcast or online. This is a public pitch that will take place at Sheffield Doc/Fest June 5 – 10, 2015. All applicants are eligible. IBT will be offering £4,000 in development funding to the winning pitch. The shortlisted entrants will receive training in pitching their project and the winner will be announced at Sheffield Doc/Fest. The deadline for submissions is on April 16th 2015.